Bold 9800 Slider Getting Its Name Changed to BlackBerry Torch? Just when you thought the BlackBerry 9800 Slider was in fact going to be apart of the Bold family, it actually might not. 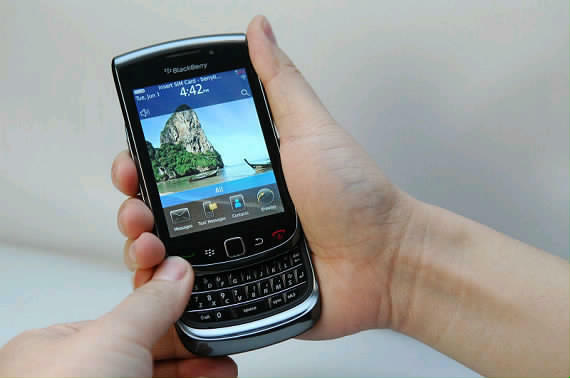 The 9800 Slider is the first BlackBerry to include a touch-screen and a full qwerty keyboard that happens to slide-out. We can see why RIM would add the 9800 to the Bold family for marketing purposes, given how well accepted the Bold-line has been. However, RIM may be planning on putting the 9800 in its own family as the BlackBerry Torch. Apparently, RIM has really been considering using the name ‘Torch’. This makes sense considering all along the 9800 has been codenamed with a ‘T’. First the 9800 was codenamed as Mr. T and then later on as Talladega. It is being said that there are 9800’s with the Torch branding already being manufactured at RIM’s plant in Guadalajara, Mexico. Even more, the domain BlackBerryTorch.com was purchased by RIM in April, according to the whois. It will be very interesting to see whether or not RIM will keep it as the Bold 9800 or make it the Torch 9800. What do you think, should they keep brand-awareness and leave it as a ‘Bold’ or change to ‘Torch’?